Senior High School was a beautiful time, where at that time I began to feel falling in love, have a friend who is always there for me and have an idol that can inspire me. She’s my senior, hername is Afifah. Afifah is a beautiful, smart, cheerful, Chairman of Rohis (Moslem Community) and accomplished girl who has always been the pride of her school. Everyone who knew her was amazed at her. A lot of people were impressed with her were from peers to her juniors. Her father is one of the theologian in school environment which is admired has increasingly made her known to many people. She always looks happy every day like she doesn’t have problems in her life. Until one day she became more silent than usual, her face looked grim and lackluster. Day after dayshe’s not going to school and no one knows the reason why she’s no longer attending in school. Herfriends and teachers try to come to her house to find out why she’s no longer in school. However, no one managed to meet herbecause her parents close the house so that no one can go to see her. The next day the principal, me and some friends from Rohis tried to visit her home and this time we were given the opportunity by her parents to see her. "But I love her mom" she shouted until it sounded out "but she is not good for you and what you do is forbidden by god" hermother answered in soft voice. “I don’t want to own you as my daughter again if you’re not listening to my words” Afifah’s father shouted and there was a commotion from the house. "But she’s a good woman,we love each other. She can accept me for who I am, never mind if you doesn’t approve of our relationship it is better if I die". “Braakkk!” came the sound of slamming door, Afifah lock herself in the room. We watched from the doorway and overheard the conversation. When she saw us coming she ran straight into her room. We went straight to her parents andthey’re told to us if they dissagreed with her. Suddenly a voice shouted from inside the room "whydid you here? Go away ". Instantly her parents drove us out of her house andimmediately re-enter herhouse. When we want to go home, we heard again shouting from inside the house "why did you let them in? You want to embarrassed me?". After hearing the shouting, the headmaster immediately invited us back to our home. The next day when I went to school I passed Afifah’s house, in front of her house had many people. I also saw some students at school already crowded, "assalamualaikum wr.wb innalillahi wainnailaihi raji’un has passed away Afifah Putri binti Kusmoro early morning at 03:00 am". 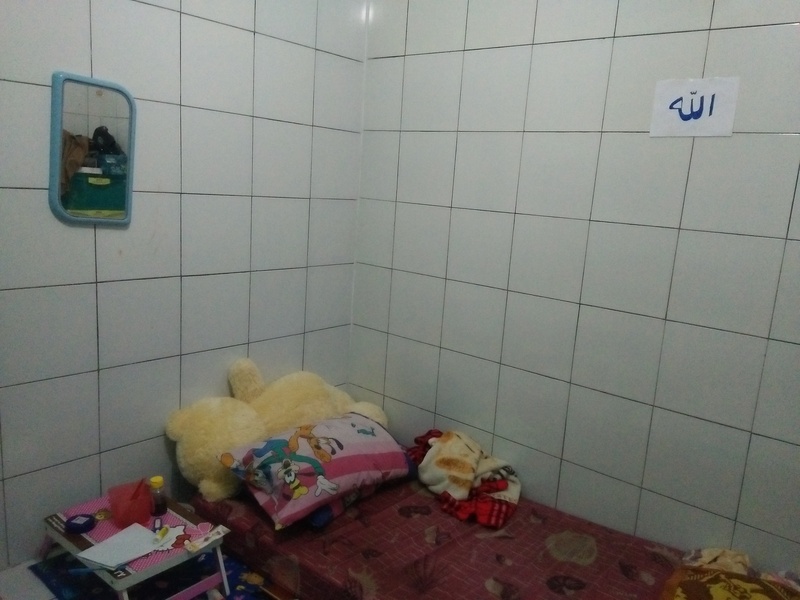 I went straight into herhouse and found Afifah’s body hanging above the door of her room with the condition of her neck tied with a rope, her eyesbulging and her tongue stick out. Her parents looked so hysterical that even hermother fainted and the people who saw her could only be silent and felt disbelief she died in that way.